Do you know around 38% of projects fail to meet the goal due to scope creep? Being one of the common reasons for project failure, project scope management is a vital area that every project manager must work well to ensure that the project is in line with the scope. A project scope management is a roadmap that will help you to define, manage, validate, and finally control a project’s scope. 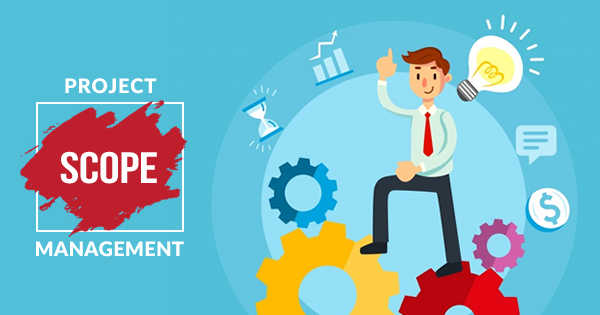 Not only knowing the importance of project scope management is essential for project managers but also the benefits of project scope management help them to streamline a project. So, Project Management Institute (PMI)® emphasizes this in its PMBOK guide, fifth edition, as part of its PMP exam. Hence, if you are working towards your PMP certification, then you must be good to go with project scope management. However, project scope management processes follow its own set of steps that involve specific project scope management tools and techniques. Hence, in this article, we have tried to leverage ideas on features of project scope management. Project scope management is one of the top project management terms every project manager should be familiar with. But before we discuss project scope management, we must know what is called nature and scope of project management? Because the nature and scope of project management influences project scope management. Project management is a blend of art and science. In other words, we can say project management involves the scientific method, human relations, and quantitative approaches. And ideally, managers should create only what creates overwhelming values for an organization. In general, the nature and scope of project management are two different aspects, and these are based on concepts which we will describe one by one. Every organization needs project managers to efficiently manage teamwork. To achieve its set goals, organizations need physical, and human resources that should be managed with certain industry-followed rules and principals. Hence, the scope of project management comes to every field irrespective of industry domains. Every organization sets a limited cost and labour to achieve the goals. However, without proper resource management, it is impossible to achieve the goals within a given timeframe. Moreover, quality delivery within the timeline is also associated with company reputation. While working as a team or group, coordination is a major factor in synchronizing the activities. One of the key purposes of project management is to coordinate between teams to get the job done smoothly. Project scope management could either be product scope or project scope which is a common concept towards the stakeholders. Hence, the common understanding of nature and scope of management is implemented in the scope of project management. 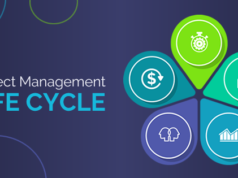 What is the Importance of Project Scope Management? So, we can consider the project scope as the boundary within which a team will deliver the project. As a project manager, if you do not define the scope of a project, it will be difficult for you to deliver a successful project and the end result will be a disaster. To explain it better, we can take the construction of a building on an empty ground as project scope management example. In this scenario, if we do not properly provide a plan for the house, then it is like a project without project scope which can result in anything at the end. The above list is not limited and may vary based on organization need. The next step is to create a project scope statement which is produced based on the requirement management plan document and the scope management plan. The project scope definition takes the input from the requirement management plan and provides a detailed description of the service or product that is going to be developed as part of the project. The project scope statement describes what part of the project scope is required and what is not. This helps to create a change request if any requirement which is excluded in the requirement plan is asked in the future. Based on the project scope statement and requirements management plan the main task is divided into small chunks to make project delivery smooth and easy. This kind of broken work structure is known as Work Breakdown Structure (WBS). Preparing for a project management interview? Going through these top 30 Project Management Interview Questions will help you ace the interview. Not to mention, on-time delivery is essential, but on-time sign off is also an important factor for project closure. Thus scope validation process is major criteria in any project which can assure you to have a process in place that has already reviewed the tasks as described in the work breakdown structure (WBS) before these are sent to the stakeholders for the sign-off. This is a post-execution process in a project. This step is mainly required for change control so that if any new request comes up which is beyond project scope that should come through proper change request. Besides, it is also a performance measurement process where gaps are identified against performance reports by validating it with project requirements. This may change the project plan. Each of the above mentioned six project scope management processes uses different tools and techniques which we have listed down in below table. So, the project scope management is what defines the required work and ensure that the required work is done within the given timeframe. It includes a detailed process of scope management, control, and management. The project manager needs to get formal approval on the well-prepared project scope. A proper and effective project scope management helps the project manager to avoid project failure and thus leads to a successful project. Project management training can help you to explore more on project scope management area. 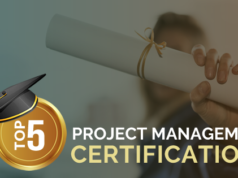 So, if you are preparing for PMP certification, take our PMP certification training to get prepared for the PMP certification exam. 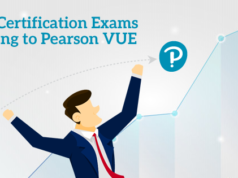 Also, our PMP practice tests are based on the real PMP exams, so will help you a lot to check how much you are ready for the real exam. Wish you the best for your future endeavors!